As CEO, Linda manages the firm’s strategic planning, brand marketing, social media and crisis/reputation management services. She launched her career in marketing, advertising and public relations for the financial services industry, and learned how to keep bank customers happy and investors satisfied through numerous bank mergers and acquisitions and volatile economic cycles. Later, she founded the Caliber Group with a vision to provide clients and employees a higher quality, extraordinary experience, for ordinary was not part of her vocabulary. For the past two decades, Linda has worked with more than 200 companies to successfully start, expand or reposition their brands through numerous mergers and acquisitions, crisis situations, leadership changes, uncertain economic environments, and periods of stalled growth. 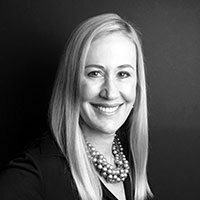 She and the Caliber team work as strategic partners vested in their client’s success, and deliver all brand marketing and reputation management services focused on outcomes that meet objectives.